The Oxon hill, Maryland community of dance is a beautiful thing. With so many different personalities and backgrounds, the people who love dance find meaning in another's arms as they rhythmically move across the dance floor of life. 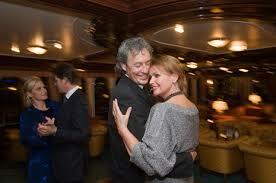 Alexandria, VA private ballroom dance lessons, wedding dance lessons - in your home or studio or at the Athenaeum . Dance Parties At Home and dance lessons for rehab. I GUARANTEE FUN and fast results! I am single in my very early sixties and is looking forward in meeting new people. I would like to be in a dance group having lessons twice a week just to have fun. I am looking for classes as an individual and would like to take the above classes in the evening after 6:00pm during the week. I love to dance and want to use it as a way to lose weight. I am seeking lessons for my 10 year old son.